Cleone H. (Mrs. Willard) Schmidt, age 74, of Faribault, died on Monday, November 19, 2007 at the District One Hospital, Faribault. Funeral services will be held on Saturday, November 24, 2007 at 10:00 a.m. at Our Savior’s Lutheran Church, Faribault, with the Reverend Allan Nelson officiating. Interment will be at Meadow Ridge Memorial Park, Faribault. Visitation will be at the Boldt Funeral Home, Faribault, on Friday, November 23, 2007 from 3 to 6 p.m. and also at the church for one hour prior to the service on Saturday. Cleone Hazel Dirks, the daughter of George and Hazel (Evans) Dirks, was born on April 13, 1933 in Jeffers. She graduated from Willmar High School in 1950. On August 3, 1952 she married Willard Schmidt at Redeemer Lutheran Church in Willmar. They raised their family in the Willmar area. After retirement, they moved to Brainerd and spent the last 22 years in Faribault. 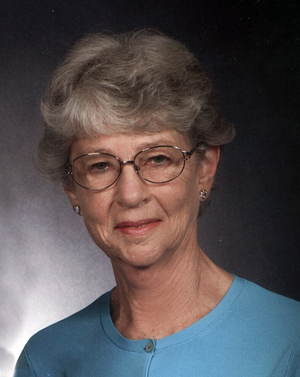 Cleone enjoyed movies, golfing, bowling, fishing, crafts and music. She is survived by her husband, Willard; three children, Gordon (and Janel) Schmidt and Larry (and Nancy) Schmidt, all of Farmington, Sheryl (and Larry) Preble of Faribault; eight grandchildren, Heidi, Kayla, Jesse, Rachel, Grant, Wade, Shannon and Jason; one sister, Noreen (and John) Butler of Pennock; and other relatives and many friends. She was preceded in death by her parents; two brothers, Darrell and Gene Dirks; and one sister, Mardella Steinhilber.